Atomic Rules uses advanced methods and tools combined with decades of experience to help solve communication and computation challenges. We provide our clients with effective solutions to problems involving interconnection networks and reconfigurable computing. Our practice employs scalable, rule-based methods to tackle complex concurrency among heterogeneous processors. Amazon EC2 F1 enables the democratization of access to a truly high-performance FGPA platform. With F1 Atomic Rules is accelerating the pace of innovation at scale and is now offering design services to clients seeking an F1 cloud presence; In addition, Atomic Rules develops its own F1 applications by by adapting its existing network processing IP to the F1. “While the cost of genome sequencing has decreased significantly, major hurdles continue to be lengthy analysis times and costly infrastructure for the massive amounts of genomic data generated, hindering clinical use, research and collaboration. We have developed DRAGEN™, the world’s first bioinformatics processor that uses a field-programmable gate array (FPGA) to provide hardware-accelerated implementations of genome pipeline algorithms, genome data compression, and has been shown to speed whole genome data analysis from hours to minutes, while maintaining high accuracy and reducing costs,” said Pieter van Rooyen, Ph.D., chief executive officer of Edico Genome. “With AWS’s new FPGA Amazon EC2’s F1 instances and our upcoming DRAGEN™ Amazon FPGA Image, we are able to offer oura genomics platform to existing Edico and AWS customers, hospitals, academic institutions and sequencing centers that enables real-time genomic analysis and data compression, cost savings and seamless and secure cloud deployment. This could be transformative for cancer patients waiting on test results, newborns in neonatal intensive care units where doctors race against time for answers, or expectant parents undergoing genetic testing. Tools: Our products enable software engineers to quickly access the potential of FPGA acceleration on F1 instances, without being experts in FPGA implementation or FPGA tools. The Merlin compiler provides push-button C/C++ to a highly optimized FPGA implementation, including host code generation, optimizing data transfer and reuse to achieve performance. Kestrel is a runtime scheduler that optimizes the discovery, deployment, sharing, reprogramming and scheduling of FPGA accelerators on F1. Genomic Sequencing: We also offer an accelerated Whole Genome Sequencing pipeline on F1, built using Falcon tools and acceleration libraries, which, unlike other accelerated WGS solutions, can be easily customized to use your specific pipeline components. Consulting Services: Falcon also offers training, accelerator design and migration, and engineering consulting services to help your transition to F1 instances. Mipsology offers FPGA-based class-leading acceleration for Deep Learning, with no FPGA knowledge required. We leverage more than 20 years of experience designing high-performance FPGA-based systems for Linux to offer our users the best solutions for Deep Learning. Mipsology’s first product, Zebra, runs user defined neural networks just as they would run on GPU or CPU. No FPGA knowledge required nor a single line of code to write. Switching is effortless and takes just minutes giving you the best FPGA based acceleration for neural network inference. Reconfigure.io is a cloud-based service for programming FPGAs with Go. 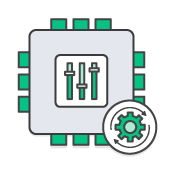 Access customizable cost-effective hardware acceleration technology from AWS EC2 F1 instances using one of the world’s most popular programming languages. Build, test and deploy your project-specific code entirely in the cloud using our simple tooling and management system. Ryft powers cloud-based and on-premise data analytics applications for faster, smarter data-driven decisions. By making heterogeneous compute fast and simple, Ryft delivers instant insights into any data by eliminating the latency associated with data indexing and transformation/curation. Today, industry leaders rely on Ryft to quickly and simply unlock the value hidden in their data for real-time actionable insight. Whereas traditional FPGA-based data analytics appliances proved too difficult and too costly for the average enterprise to deploy, program and maintain, Ryft’s cloud-based solutions make use of Ryft’s open API, providing a library of analytics algorithms and connectors that abstract away complexity. The result is a fast and simple cloud-based architecture harnessing the power of FPGA-based heterogeneous compute systems. With Ryft, all organizations can benefit from the FPGA’s performance gains without needing any specialized knowledge. TeraDeep, Inc. develops accelerated computer vision technology for video analytics used in the security and protection of high-value assets. “Massive amounts of video footage is captured on camera systems and streamed every second, and accurate, automated, and low latency video processing is critical so users can alarm and respond to events immediately. TeraDeep has developed FPGA-based accelerator technology to substantially reduce the time and cost for complex video processing," said Didier Lacroix, CEO of TeraDeep. "As a growing startup, the capital expenditure and lead time for developing and deploying FPGA technology on-premises is time painful and a big reason why there aren't more FPGA startups today. Amazon FPGA Images and F1 instances have dramatically reduced the time and cost to deploy our technology, eliminating the large up front expense and time required to design and deploy custom FPGA cards down from months or years to days." Missing Link Electronics’ (MLE) expert design services and solutions enable you to bring your compute problems to Amazon EC2 F1 instances – even if you are a first-time user. networking and storage protocols for SATA, NVMe or TCP/IP. We support you in your Amazon EC2 F1 project starting from first idea, over system architecture design, feasibility study, to roll-out and to scale-out. Using predictable design methodologies and tools for performance profiling, hardware / software partitioning, verification and synthesis we can quickly integrate in-house or 3rd-party function blocks into “unconventional” dataflow-oriented FPGA architectures. Our team of design engineers has been fully enabled by Amazon and Xilinx with sufficient seats for the required toolchain, documentation and training. Our growing list of accelerator platforms and building blocks has been pre-validated and optimized to run on Amazon EC2 F1. MLE is a Certified Member of the Xilinx Alliance Program. As such we passed a comprehensive review by Xilinx of technical, business, quality, and support processes and will continue to commit engineers to passing the same rigorous training used by Xilinx Field Application Engineers worldwide. MLE’s toolchain expertise stretches from “classical” FPGA design with Xilinx Vivado using VHDL/Verilog over hardware-/software-partitioning to modern dataflow oriented design methodologies using High-Level Synthesis Xilinx Vivado HLS and Xilinx SDx. Plunify is a pioneer in FPGA design optimization, using machine learning coupled with in-depth FPGA experience to solve critical timing and device resource problems with little or no design changes. Engineers use Plunify’s InTime tool and optimization services to automatically and quickly fix issues and optimize designs for networking, audio/video processing, datacenter and many other applications. Because InTime is a learning tool, it builds a meta-characteristic database for your designs so that subsequent projects take less and less time to optimize. It also leverages on massive compute power to shorten time-to-results by 10x or more. A single FPGA designer is now armed with the capabilities of generating compilation builds quickly at enterprise scale, and produce highly-targeted builds that can achieve timing closure and increase design performance at a fraction of the time it used to take.” says Harnhua Ng, CEO of Plunify. Interested in Becoming an AWS EC2 F1 Instance Partner? Amazon EC2 F1 Instance participates in the AWS Service Delivery Program. The Service Delivery Program recognizes APN Partners with a verified track record of delivering specific AWS services and workloads to AWS customers, including Amazon EC2 F1 Instance. To apply to become a AWS Service Delivery Partner, apply online through the APN Portal today.